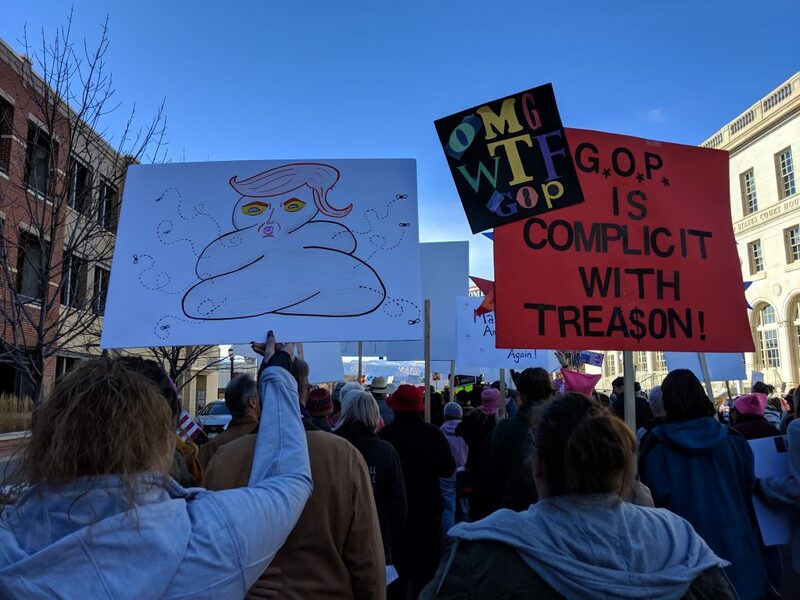 The third annual Women’s March in Grand Junction on Saturday, January 19th, drew an enthusiastic crowd of about 2,000 liberal and progressive western slope residents who came out to support women’s rights, equality for women and gay, lesbian and transgender people, people of color and immigrant communities. Speakers included Anne Landman, Nellie Garcia Olmos of the Colorado Immigrant Rights Coalition, Palisade High School student activist Llli Flanigan, Heidi Hesse, the Western Slope organizer for the LGBTQ advocacy group One Colorado, Jon Williams, co-founder of the local chapter of Black Lives Matter, Karen Sjoberg, founder of Citizens for Clean Air, Barbara Michel speaking about native American rights, Janice Curtis speaking about suicide prevention and Anna Stout, candidate for G.J. City Council. G.J. City Councilman Chris Kennedy read an inclusivity proclamation that the G.J. City Council has so far refused to adopt, saying it was “too political.” The inclusivity proclamation mirrors that adopted by the Fruita City Council in late 2018. (To read the proclamation and see what the G.J. City Council considered “too political,” see page 3 of this pdf file.) If you’d like to urge city council to adopt the proposed inclusivity proclamation, send a note to the entire city council all at once by emailing citycouncil@gjcity.org, or call the City Council Comment Line and leave them a voicemail at 970-244-1504. 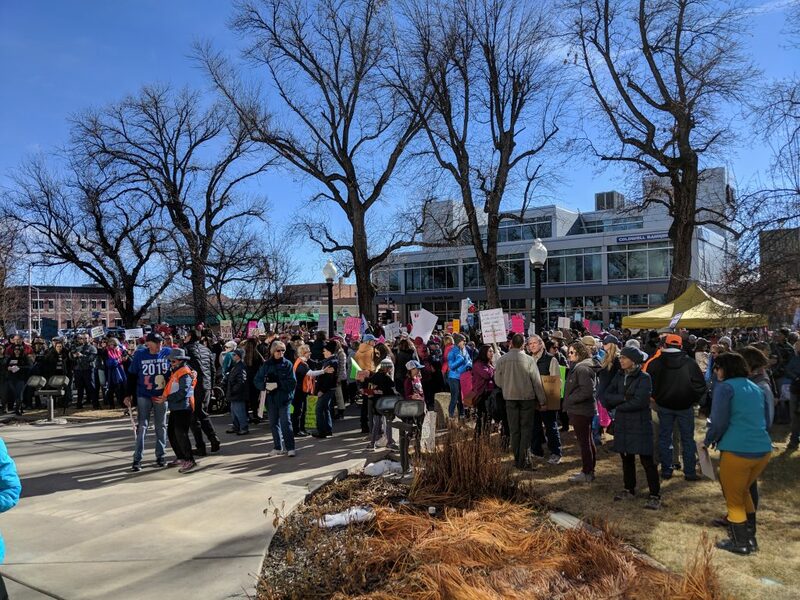 The big turnout for the Women’s March continues to show there is an an energized, enthusiastic and growing liberal progressive community in the Grand Junction area, and it’s not going away. Unfortunately, the Republicans in attendance also demonstrated that racism is still alive in our community as well. 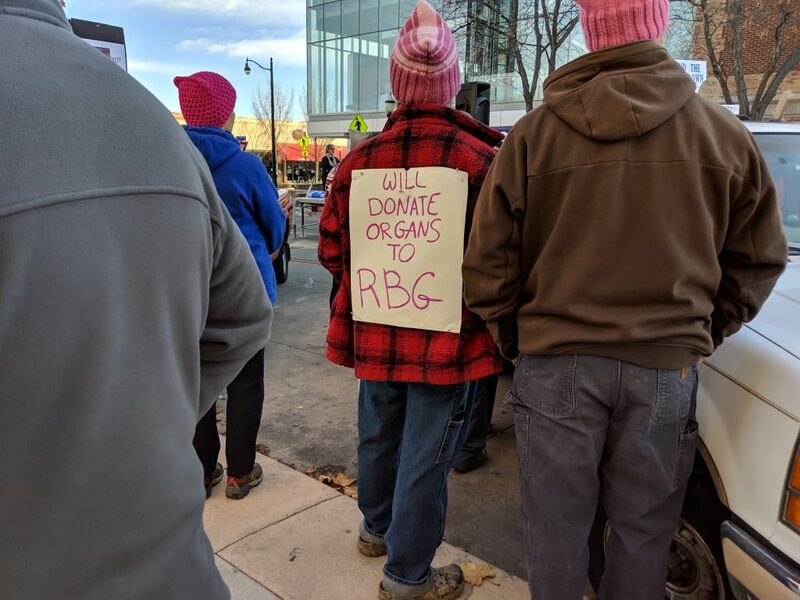 Nevertheless, the Grand Junction progressive community that represents inclusiveness won the day.